I had to share these photos of my son in his first wedding appearance. 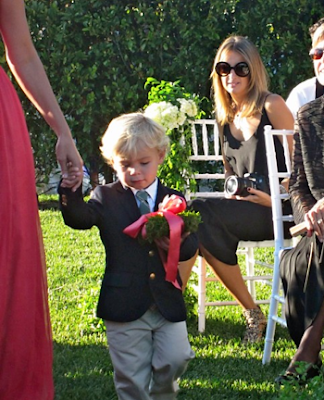 He was a ring bearer for a dear friend's ceremony in Santa Barbara. 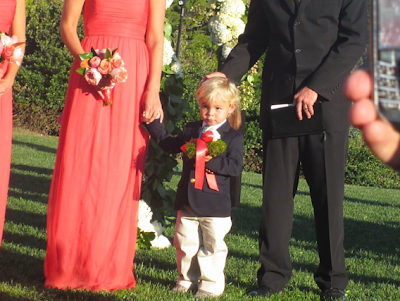 The weather and wedding were perfect! Such an amazing weekend! Thank you Sarah & Chris for having him be a part of your special day! 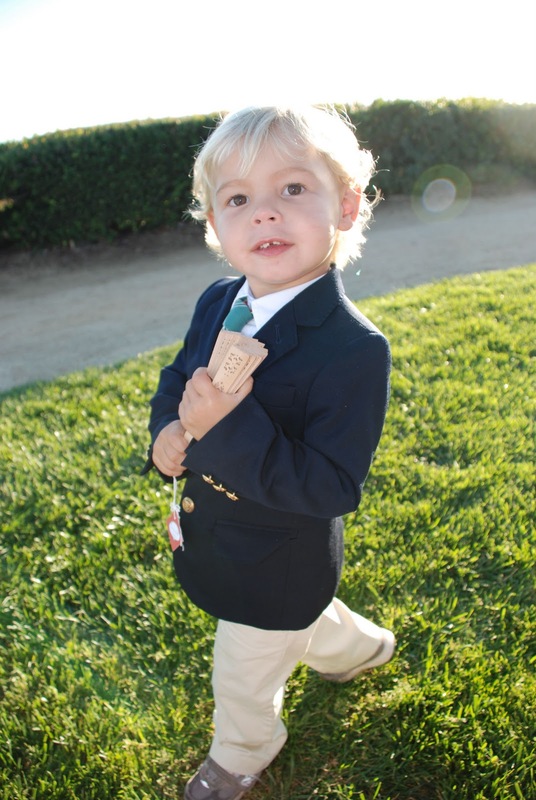 What a perfect little gentleman! Did mommy or daddy change the diaper at the wedding?